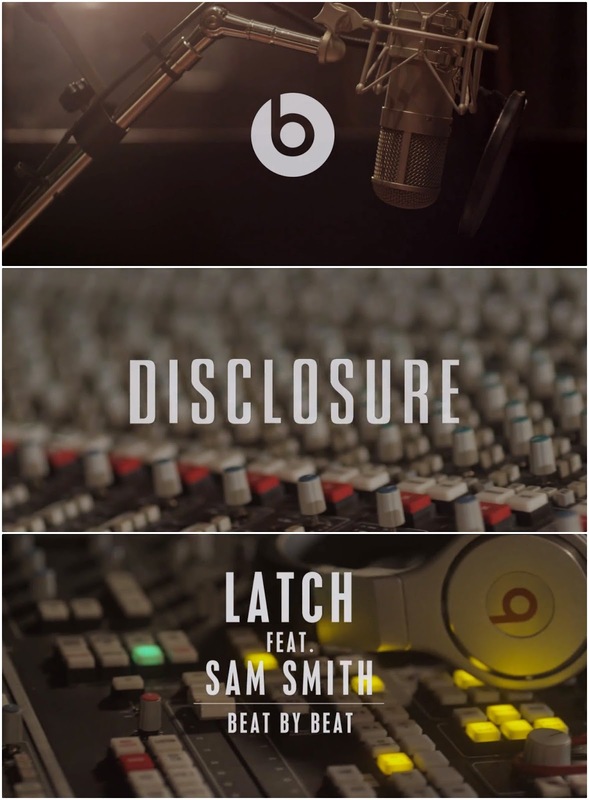 In the second edition of Beat by Dre's ‘Beat by Beat’ - they have teamed up with Disclosure and Sam Smith to tell the story of their groundbreaking hit ‘Latch’. The single which has recently gone gold is an on-going success as the track continues to grow, Beats by Dre get on board to film a short film that tells the story of how the track went from a simple song song written after school to becoming the grandoise love song that propelled Disclosure and Sam Smith to international fame. This is the second part of the ‘Beat by Beat’ series which was launched back in February of this year with Rudimental (Rudimental Collaborate With Beats by Dr. Dre on The New...). Beats by Dre are opening up a whole new door with ‘Beat by Beat’ - inviting fans to see how some of their favourite singles were made, and what the inspiration behind them were. ‘Latch’ has been nominated for Best Contemporary Song at this years' Ivor Novello Awards. Watch as Disclosure break it down for us as they invite us into the studio!